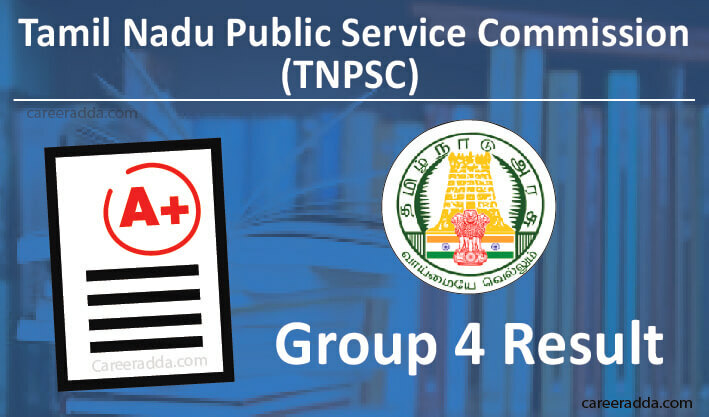 Check TNPSC Group 4 Result 2019 [Date, Scores Card, Answer Key, Counselling] : As per the past trends, the Tamil Nadu Public Service Commission will publish the result on the official website. Before result publishing and immediately within a week after the written examination, the commission will publish the answer key. If you take up the test, you can check the answer key from the official website of TNPSC that will help you judge your overall and subject-wise score to a certain extent if you remember the answers you selected in the written test. The release of the result will take place around 4 or 5 months after the written test based on the past trends. But, immediately within a week after the test, you can expect the release of official answer key on the official website of Tamil Nadu Public Service Commission. The answer key will have questions along with a tick mark corresponding to the correct option among the four given options. You can find separate links for the answer key to each subject in the TNPSC Website. How To Download TNPSC Group 4 Answer Key 2019? On the right-hand side, look for “Answer Keys” under the result tab. Look for Group IV Recruitment in the table on this page with different columns like S. No, date of notification, name of the post, Date of examination, answer keys. Click on the row corresponding to the Group IV recruitment that shows a date. Click on each subject separately like “General English”, “General Tamil” and “General Studies”. The answer key will show up, click on the “Download” or “Print” symbol on the top right corner of the PDF Page. In case, you have any objections over the answer key published by the TNPSC, you can mail or can write by post about the objections with evidences and ground for such objections. You should do this within a week. The objections will be placed in front of the expert committee and final keys will be published. The OMR Sheets will be evaluated only on the basis of the final key. Document Verification 4 or 5 months after the publication of results for the written test. How To Check TNPSC Group 4 Results? Click Results in the right panel. A drop-down menu will open. Click ‘Results’ there. A PDF file with the list of registered numbers of qualified candidates with open. If your number is present, you can visit the website of TNPSC and look for the scorecard link. If you are qualified, you will have to keep visiting the website of TNPSC to see the notification with venue and date of certificate verification issued on the TNPSC website. You will be notified about the availability of this notification to your Email Address and your Phone Number via SMS. You will not get the call letter to your address by post separately. How To Know Your TNPSC Group 4 Scores? Click “Results” in the right panel. When you click on the date, you will be prompted to enter your registration number. Enter your TNPSC Group 4 Registration number and click ‘submit’. A page containing your scores will display. Special category details like differently-abled rank, destitute widow rank and Ex-servicemen rank if applicable. Just because a candidate has found his/her registration number in the list of qualified candidates and the mark sheet, it does not mean that he/she gets a position in a government organization in Tamil Nadu. The final selection will be based on further rounds like certificate verification and counselling. So, keep checking the website of TNPSC for details about the date and venue of certificate verification and make sure to carry the essential documents during the certificate verification process. Selected candidates will have to reach the verification hall alone. However, in the case of women with small babies and also in the case of physically challenged candidates, they can come with another person. Candidates will be called for certificate verification in the ratio of 1:3. It means that three candidates will be invited for every one vacancy for each position and for each category. Finally, the list of candidates selected for the next round will be announced after removing rejected/ineligible and absent candidates. Allotment desk, where the name and position allotted to the candidate will be confirmed over a microphone.